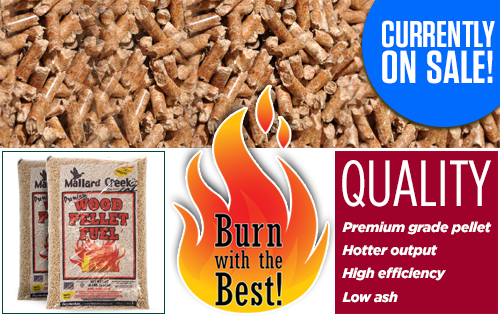 Wood Pellet Fuel is a renewable, clean-burning and cost effective home heating alternative. Pellets are classified as “densified biomass fuel” and are made of renewable materials – mainly recycled wood waste. With over 1,000,000 homes in the U.S. using wood pellets for heat in freestanding stoves, fireplace inserts, furnaces and boilers, pellet fuel for heating can not only be found in residential areas but also in large-scale facilities such as schools and office complexes. Biomass is completely renewable. The consistency and burn efficiency of pellet fuel produces a fraction of the particulate emissions of raw biomass. 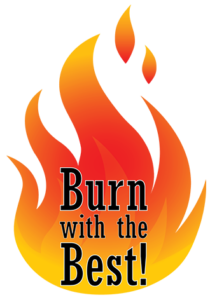 Pellet burners feature the lowest particulate matter emissions of all solid fuels burners. Given the proper Sustainable Forest Initiatives and agricultural management, biomass is virtually limitless, and has proven to be price stable in comparison with fossil fuels. 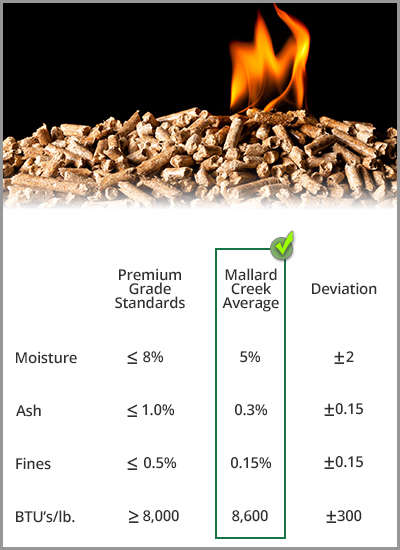 Mallard Creek has over 30 years and millions of tons of wood product experience. All of our fuels are rigorously tested according to ASTM standards to ensure we exceed industry standards. We are proud of our modern, automated pellet manufacturing facility dedicated to producing premium quality pellets from the sawdust and wood fiber that is generated in our manufacturing operations. We produce clean, energy-efficient pellets that provide numerous benefits — both economical and environmental. Pellets provide a clean-burning source of energy because of their compact size/shape, pellets and are easier to transport and store than firewood. Mallard Creek maintains a consistent source of clean raw material and a manufacturing process with strict quality control measures. Available in bulk, 1 ton super sacks or 40 lb/18 kg bags (palletized 50 bags to a pallet) our wood pellets are manufactured for use in residential, commercial, and industrial applications.